Most noteworthy, coconut oil is full of saturated fat. Furthermore, coconut oil is as unhealthy as fatty beef and butter. US heart experts stand behind this fact. Coconut oil is packed with saturated fat and raises “bad” cholesterol. Up dated advice from the American Heart Association. Coconut oil is sold as a health food. In addition, some claim the fat in coconut oil may be better for us than other saturated fats. First of all, the AHA knows that the studies do not support this claim. Therefore, choosing the right fat is very confusing. As a result, animal fats or lard are seen as bad saturated fats. Hence, plant oils are seen as healthier options. Consequently, oil from the plant family is a healthier fat. The theory is based on how much saturated fat is in a product. Saturated fat is bad for our health. But not everyone agrees with this statement. In addition, a diet high in saturated fat is not healthy. Saturated fat raises the level of (LDL) cholesterol in the blood. Bad cholesterol clogs the arteries and increases the risk of heart disease and stroke. Especially relevant, the AHA found some facts about coconut oil. Most of all, the fat in coconut oil is saturated. Coconut oil has 82% saturated fat. That’s more than in butter (63%), beef fat (50%) and pork lard (39%). Especially relevant, saturated fats can increase “bad” cholesterol. There is a mixture of fats in coconut oil. Furthermore, people think the mixture of fats in coconut oil make it a healthy option. “The bottom line?” The AHA says there is no evidence for this. In addition, limit how much saturated fat you eat. Replace some of the saturated fat with unsaturated vegetable oils. Olive oil and sunflower oil are healthy oils. The AHA found a good way to lower cholesterol. Swapping saturated fat for vegetable fat can lower cholesterol by the same magnitude as cholesterol-lowering drugs. First of all, lead author of the AHA advice wants to set the record straight. Well-conducted scientific research supports limiting saturated fat in the diet. Therefore, the limit will prevent diseases of the heart and blood vessels. The United Kingdom advises people to cut down on saturated fat. For a man, 30grams of saturated fat a day is the limit. And a woman should have 20grams of saturated fat per day. Nutritional labels display the amount of saturated types of fats. Saturated fat is bad cholesterol. First of all, replace saturated fats with unsaturated fats and whole grains. Furthermore, you need fat in a balanced diet. We shouldn’t reduce too much fat. Fat is a source of essential fatty acids. Fat helps the body absorb vitamins A, D, and E. In addition, the British Heart Foundation has some good advice. Eating well for heart health is not about reducing fats. You must reduce specific e, stay away from sugars and refined carbohydrates. Most of all, view your diet in context. 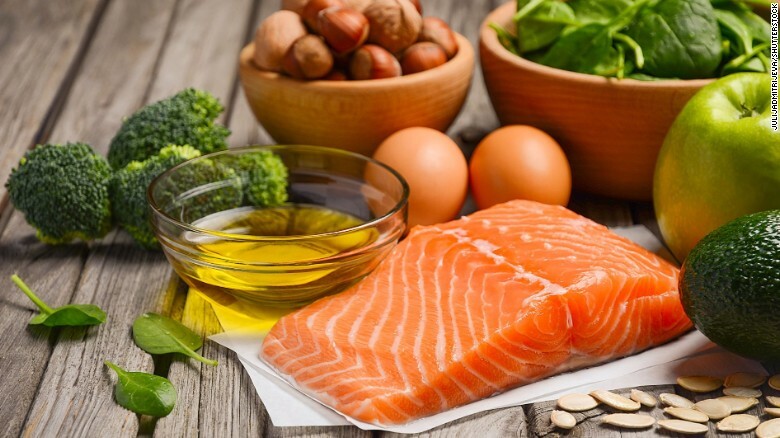 As a result, the Mediterranean diet has benefits from omega-3 fats and good cholesterol. It reduces risk factors for heart disease, not just cholesterol levels. In conclusion, replace saturated fats with unsaturated fats. Good fat is omega-3 oils, not butter. Choose foods like avocado, oily fish, nuts and seeds. Finally, avoid foods high in saturated fats. Foods high in saturated fat is cakes, biscuits, chocolate and fatty meat. Grill, bake, poach or steam food. Do not deep fry or roast. Trim the fat and take the skin off meat before you cook it. Cholesterol is a fatty substance. Saturated fats and Low-density lipoprotein (LDL) cholesterol is in coconut oil. ( LDL) cholesterol clogs your arteries. Therefore, hard plaques build up in the arteries. Blocking your arteries will result in heart attacks and stroke. High-density lipoprotein (HDL) cholesterol is in olive oil. (HDL) cholesterol goes to your liver where it is disposed of. Consequently, a high ratio of good cholesterol is healthy.